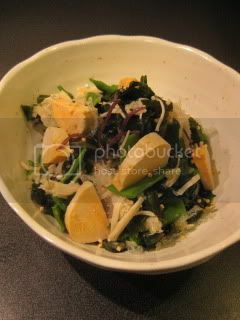 With ankimo…salad with seaweed, etc. 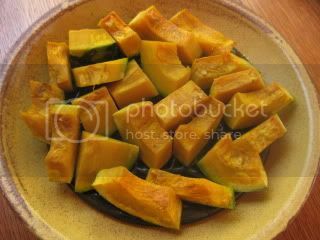 Pumpkin, persimmon, and hijiki salad in miso-sesame sauce. 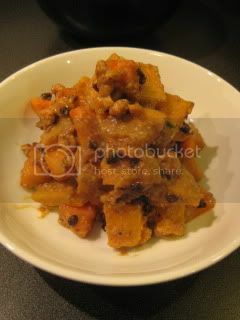 Pumpkin was steamed in donabe steam-roaster, “Tochinsai” in microwave. This donabe has been great in prepping vegetables also (instead of blanching/ boiling in water). 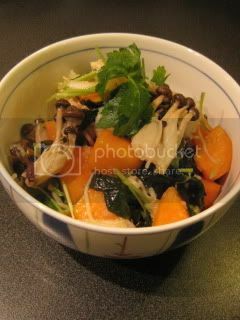 Persimmon, mushrooms, and daikon in amazu dressing. 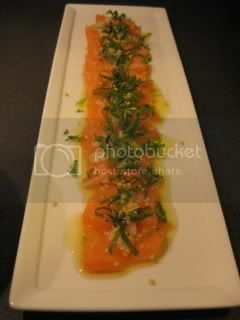 Salmon carpaccio in shio-koji & olive oil dressing. 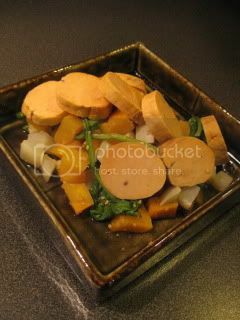 Ankimo, steamed kabu (Japanese turnip), turnip leaves, and persimmon. 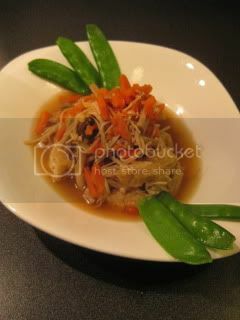 (With leftover broth from simmered koya tofu dish and leftover carrot end cuts), simmered abura-age & enoki mushrooms. 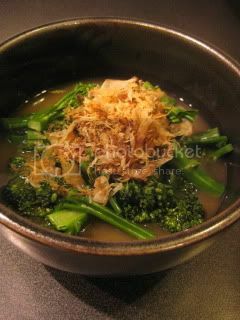 Steamed broccolini in karashi-flavored broth. 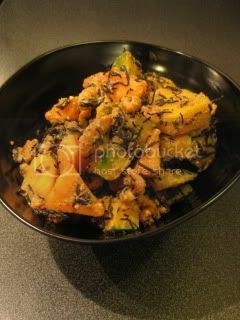 More persimmon and kabocha. I still have so many more persimmons to finish…!